The complete entertainments boxed set. 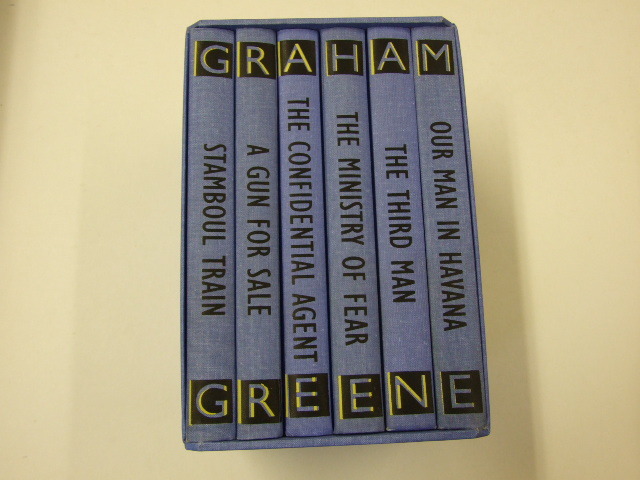 Stamboul Train / A gun for sale / The confidential agent / The ministry of fear / The third man / Our man in Havana. Published in London by Folio Society. 2012. First Thus. Fine Hardback. No inscriptions or bookplates. Fine slipcase. Introduced by Lewis Wolpert. Illustrated by Adam Simpson. G.E.R. Lloyd traces the birth of science from Thales to Galen. A new foreword by Lewis Wolpert, Emeritus Professor at University College London, pays tribute to the Ancient Greeks and to Lloyd�s exploration of their fundamental role. 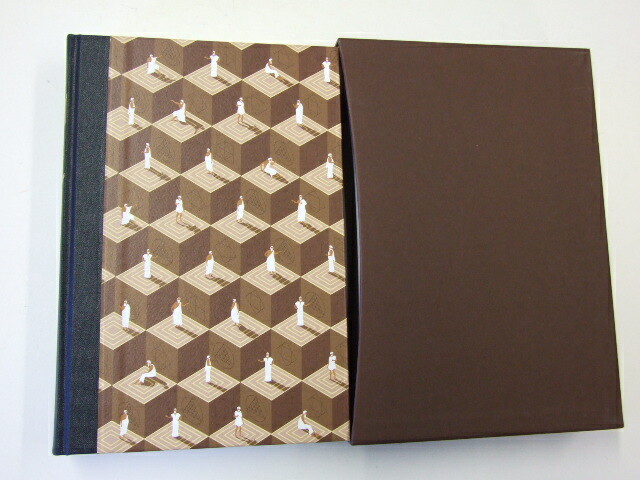 Three-quarter-bound in buckram with a Modigliani paper side. Printed with a design by Adam Simpson. Set in Poliphilus. Frontispiece and 11 colour illustrations. Book size: 10" � 6�", approx. 384 pages. Around 600 BC, Thales of Miletus set out to discover the causes of earthquakes. It had previously been imagined that they were caused by Poseidon, the sea god, but Thales proposed that earthquakes resulted from tremors in the water. His theory was wrong, but his method was revolutionary: he was among the first thinkers to try to understand the natural world without reference to the supernatural. Thanks to this fundamental shift in outlook, Thales and his fellow Greeks are widely acknowledged as the first scientists. Classicist and anthropologist G. E. R. Lloyd�s history traces the development of science in ancient Greece from the earliest theories of Thales and his fellow Milesians to Ptolemy and Galen in the 2nd century AD. He identifies the key figures and their remarkable contributions to the sum of human knowledge. Pythagoras and his followers were the first to give the study of nature a mathematical foundation; the Hippocratic authors were the first to identify illness as a natural phenomenon, not caused by divine punishment. The Greeks did make mistakes � for example, Aristotle thought that the brain contained no blood � but many of their methods and conclusions are still valid today: for example, Aristotle�s emphasis on the importance of empirical investigations; Plato�s insistence that astronomy was an exact mathematical science; and Euclid�s geometrical theorems, which were considered definitive until the late 19th century. Lloyd illuminates these early scientific ideas, and explains why they grew up in Greece and not elsewhere. As he points out, it was not because Greece was any more peaceful, or stable, than Babylon or Egypt. The key difference was that Greek citizens participated in the government of their communities and engaged in debate. Similarly, their philosophers put forward rival theories, in order to find the most accurate answer � a method we now take for granted. Adam Simpson�s witty illustrations incorporate busts of these thinkers and key terms associated with them. A new introduction by Professor Lewis Wolpert, Emeritus Professor in Cell and Developmental Biology at University College London, pays tribute to the contributions of the ancient Greeks, and to that of Professor Lloyd himself.